Gift Store, McCarthy, Wrangell - St. Elias National Park, Alaska. Gift Store, McCarthy, Wrangell – St. Elias National Park, Alaska. 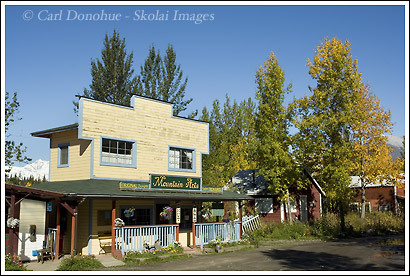 The main street of McCarthy, in the heart of Wrangell St. Elias National Park, Alaska, and the lone gift store in the little town.